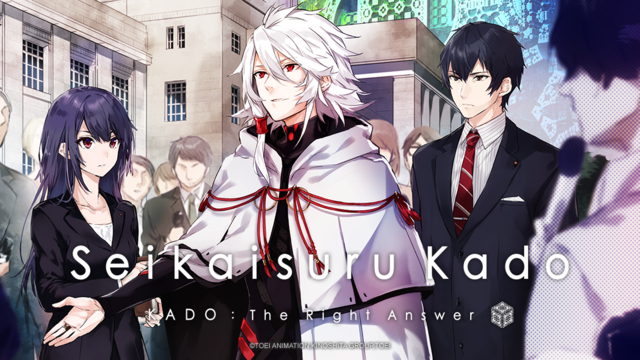 This weekend Crunchyroll announced plans to stream upcoming spring anime KADO: The Right Answer. Territories and other details will be announced later, but for now you can look forward to episodes 0 and 1 making their streaming debut on April 6 at 7:00am PDT. Episodes #0 and #1 will be airing on April 6 at 7:00AM PDT, while episode 2 will air on April 14 and continue every Friday at 7am PT. Koujiro Shindo is a highly-skilled negotiator working for the Ministry of Foreign Affairs. As his plane at Haneda airport prepares to take off, a huge mysterious cube appears from the sky. "It" expands rapidly, and absorbs the passenger plane and its 252 passengers. The cube's name is "Kado". A strange being called Yaha-kui zaShunina appears from within Kado and tries to make contact with humanity. 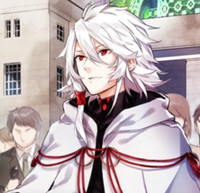 Shindou, who was been absorbed by Kado, ends up taking on the role of mediator between Yaha-kui zaShunina and humanity. The Japanese government sends its own negotiator, Saraka Tsukai. Who is Yaha-kui zaShunina? What does he want?